Darren Essen Locksmith provides an extensive line of locks to suit residential and commercial requirements. 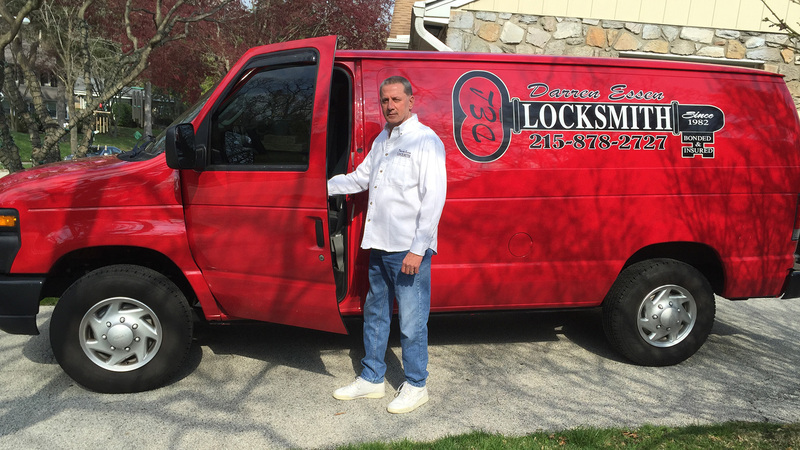 Our licensed team of locksmiths take pride in offering the most reliable and advanced security solutions in Philadelphia along with superior products, maintenance and repair services and full or partial warranties. Did you know that most locks can be picked within minutes? Darren Essen Locksmith provides lock systems that guarantee your security at home, work and for your vehicle. Our locksmith is available to upgrade your door locks, install a digital lock system, or replace your existing locks. It is important to find the most appropriate lock system for your home in Philadelphia. Darren Essen Locksmith can provide the expertise and service that offers peace of mind. Contact us for a free assessment. In the event that you need access to your home or business but are impeded by a broken lock, damaged key or vandalism, the home and business owners of Philadelphia can count on Darren Essen Locksmith for a trustworthy and timely service. Call Darren Essen Locksmith at (215) 878-2727 for advanced technology lock application solutions that ensure the protection of your business or home in Philadelphia.